I have been aware of the Longmoor Military Railway for some time now. 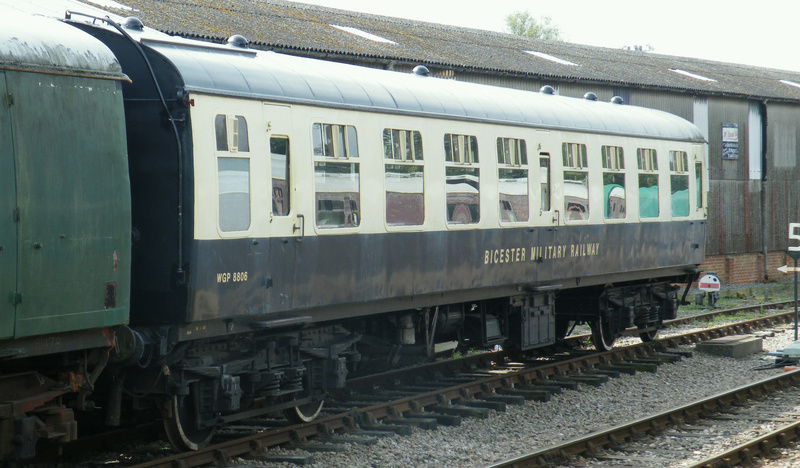 I knew nothing of the Bicester Military Railway until my wife and I had part of a weekend in the area. 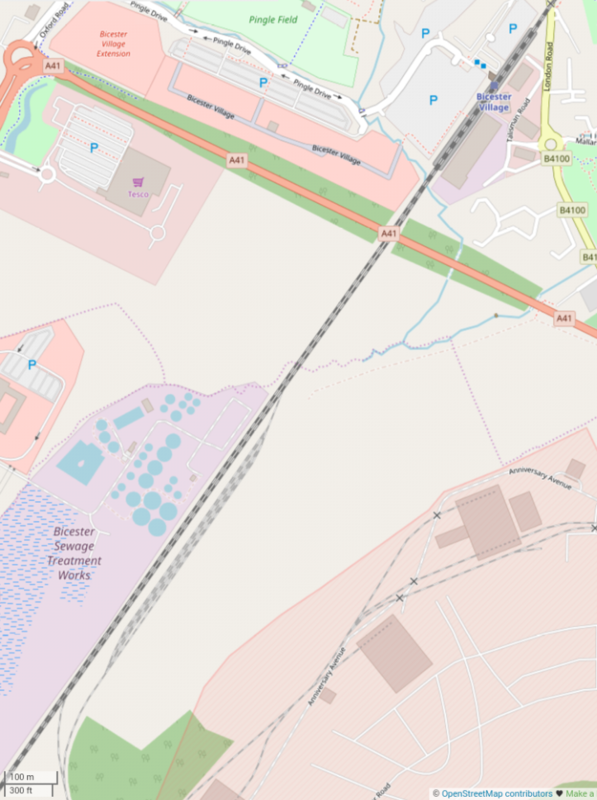 We were travelling along the M40 and using Satnav and we noticed and interesting area off to the East of the motorway which was just visible on the Satnav. Our initial thought was that there might have been some opencast workings in the area. 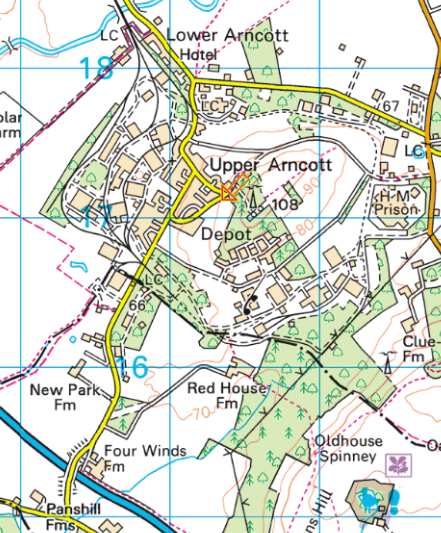 From looking at maps, we must have seen the area around Upper Arncott on the Satnav. 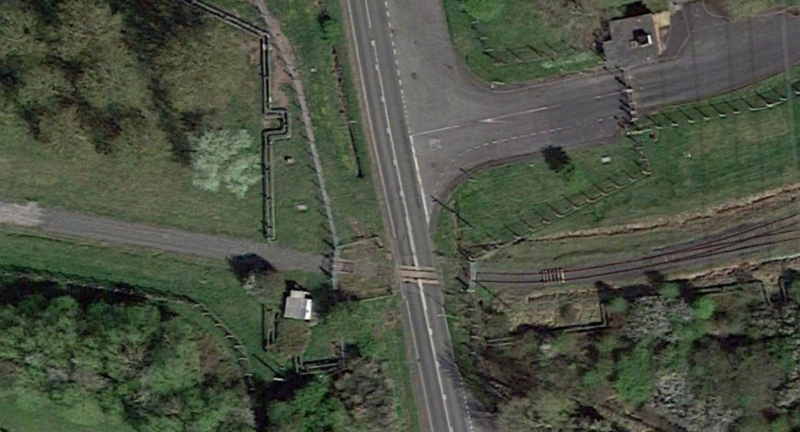 It stood out far more clearly on the Satnav than it seems to do on the adjacent map. We thought that it would be good to investigate what we had seen. All we could manage was to drive through the area on the way to a wedding that we were attending. 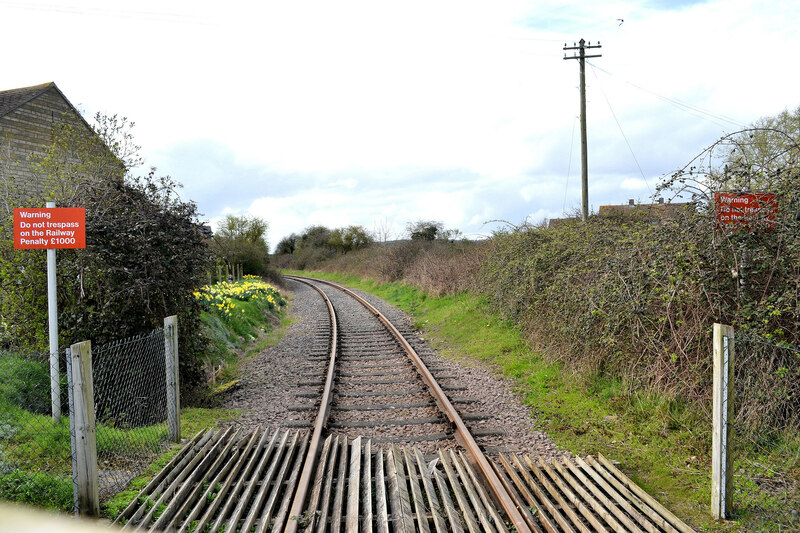 Although some of the original railway appears to have been removed, much is still in place. Further investigation seemed in order! Work on surveying the land for the rail system commenced in April 1941 and the 2.6 miles of railway that circled Graven Hill was pegged out ready for construction by August 1942. Track laying was well underway by the following month. 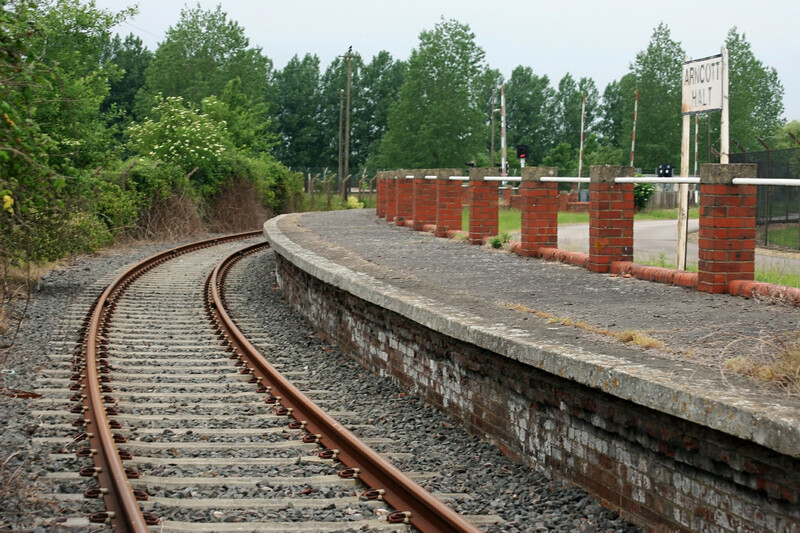 Initially the entire track was to be laid using ‘philplug’ concrete sleepers and the rails were held in place by simple bearing plates and ‘dog’ spikes. 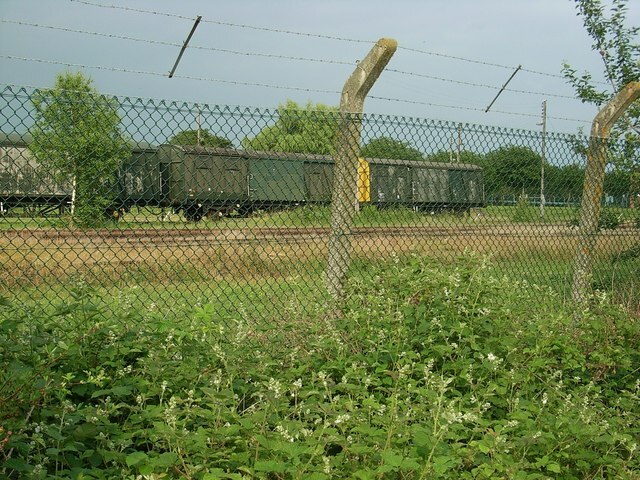 These sleepers were found to be unsatisfactory and were replaced by different types of concrete sleeper; including those manufactured by Stent that can still be found at a number of points on the railway, especially within the spurs leading into the storage hangars. 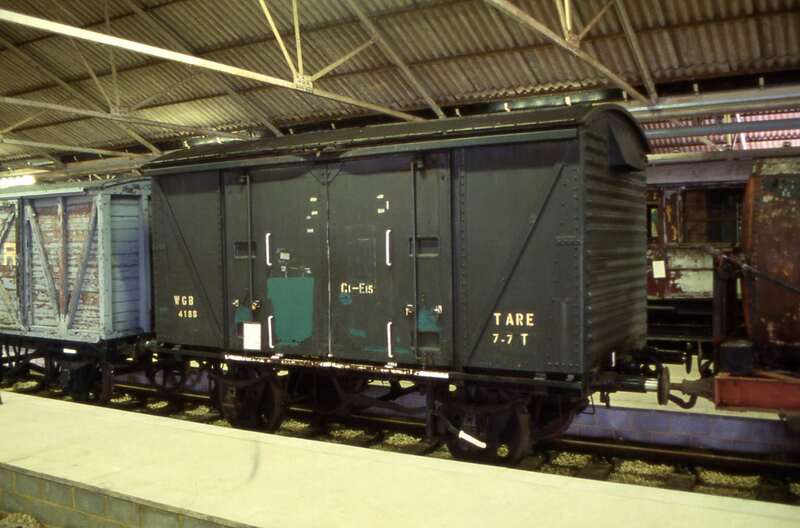 Elsewhere on the system, once it was realised that the concrete sleepers were highly visible at night, it was intended to replace them with conventional timber sleepers; however, limitations on the supply of timber dictated that some of the concrete sleepers were retained and these were painted with a thin coat of black bituminous paint to tone them down. 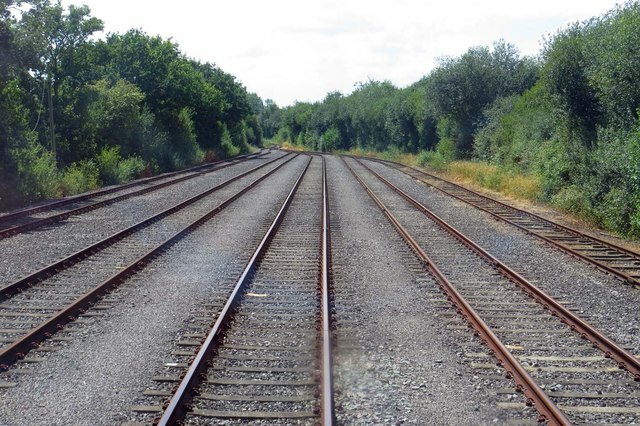 The concrete sleepers that were gathered up after replacement were not wasted and they were put to a number of alternative uses, including the building of passenger platforms. Six passenger platforms were built around the Graven Hill depot – Langford Farm Halt (demolished), E2 Platform (demolished), Westacott Platform (partially demolished), D6 Platform (demolished), Queens Platform (demolished), and Graven Hill Platform. 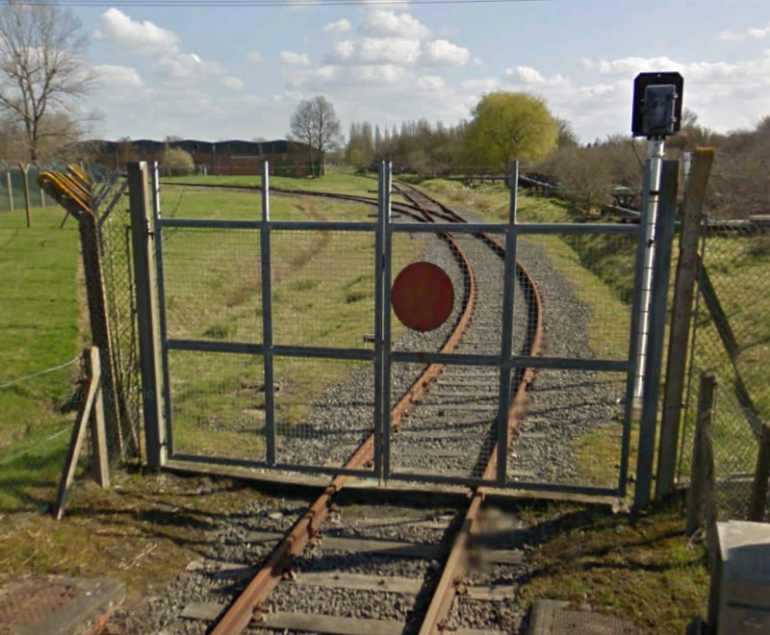 Fragmentary remains of the Westacott Platform can still be found to the west of the level-crossing gates on Westacott Road, and Graven Hill platform adjacent to the running line within the Sorting Sidings complex is the only fully extant example left. 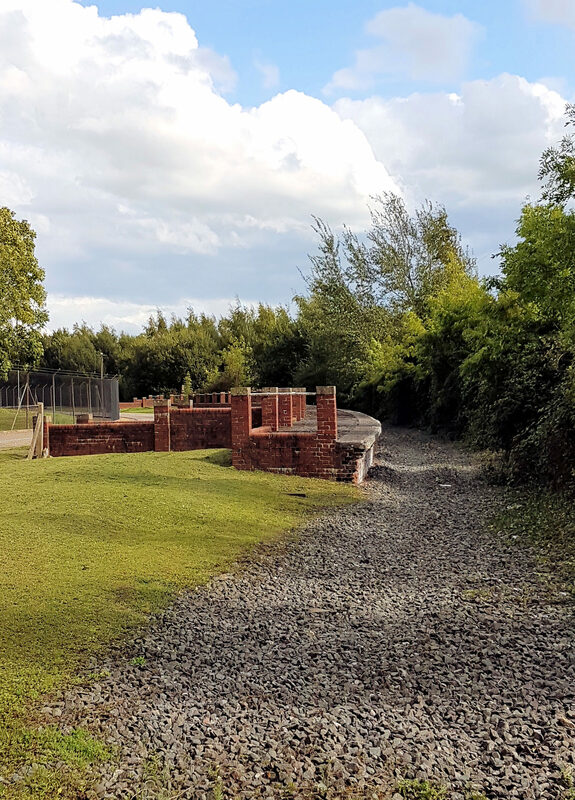 In addition to these improvised passenger platforms, a purpose-built ramped two-road loading / unloading bay was built in the gun park for the handling of artillery pieces. The scale of the operations during the Second World War can be appreciated when it is realised that up to seventeen steam locomotives were working virtually around the clock to receive, sort, deliver, recover, and despatch wagons to the various storage hangars and sidings. 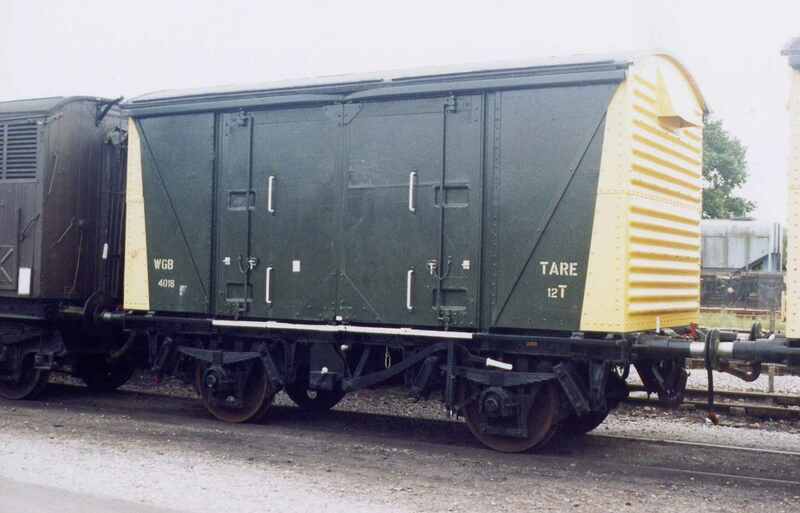 During 1944 with the build up to D-Day and the supply of the invasion forces in Europe, 78,623 wagons were received and 77,896 were despatched through the exchange sidings; together with135,034 internal movements, this gives a grand total of 291,554 wagons being handled during one year. 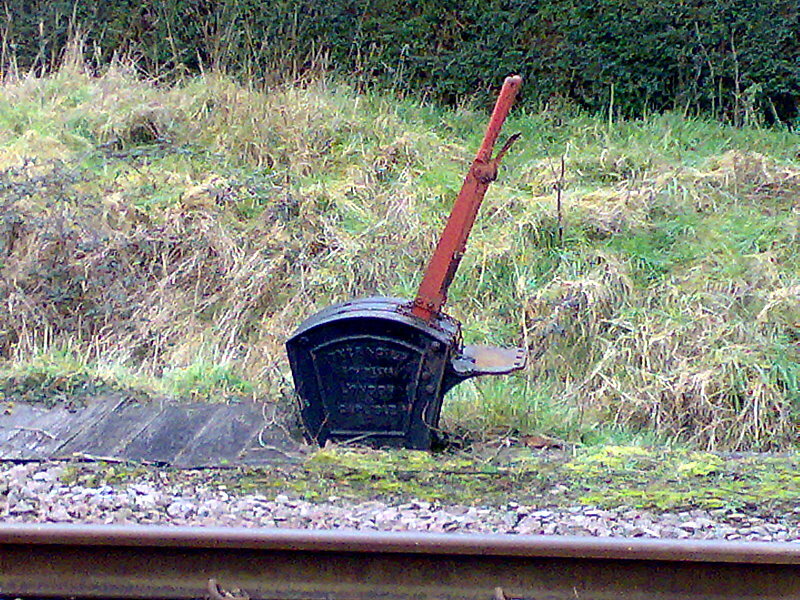 Initially all train movements were controlled by a manual ‘Regulator’ system, using a block system whereby the drivers of any train had to stop at a phone cabin and ring for permission to advance into the next section, all controlled from the railway control office at Graven Hill and the regulator building at Arncott. 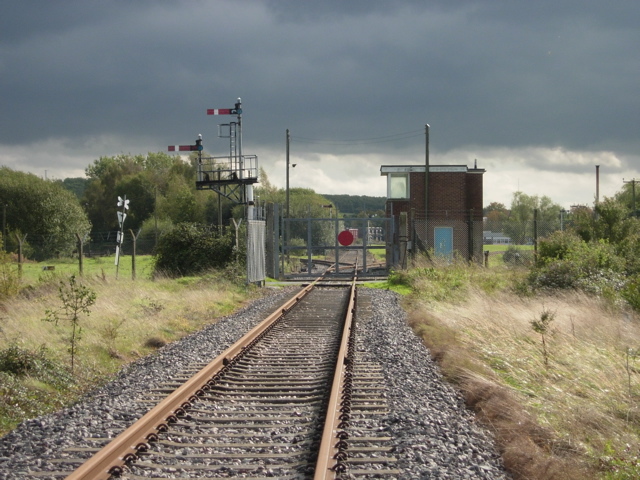 Eventually in 1947, two redundant locking lever frames, rodding, and semaphore signals were obtained from the defunct Cairnryan Military Railway and installed at Bicester to control major rail movements on the running lines at Graven Hill and the 2-mile section to Arncott depot that ran through Ambrosden. 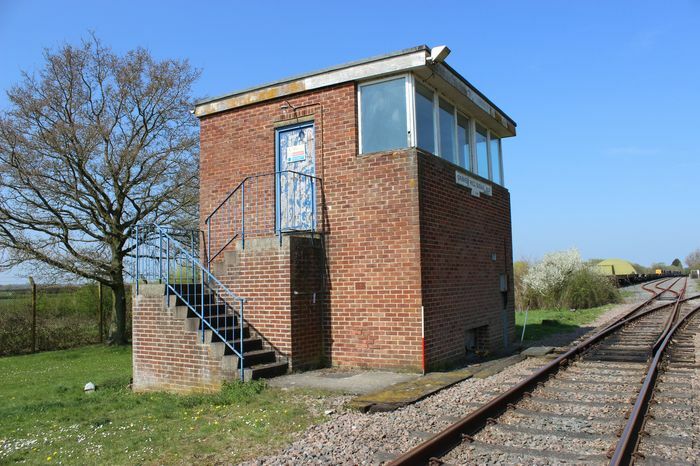 The lever frames were installed in two new two-storey structures that resembled a civilian signal box called ‘Blockposts’; the example at Graven Hill was called ‘A’ Blockpost and it housed a 16-lever interlocking frame (SP 58417 19846). 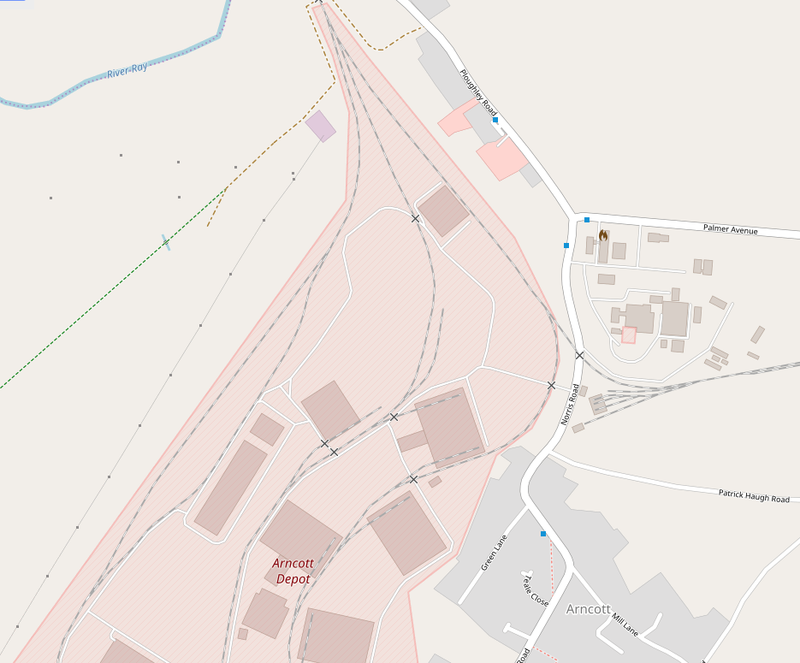 In 1960 a two-road locomotive shed with inspection and ash pits was built together with associated locomotive yard sidings at the north western end of the Sorting Sidings. The locomotive shed was designed to hold up to six locomotives and originally this structure had a flat central roof flanked by a row of smoke ventilators over each road, with a single pitch roof dropping to the side walls. This arrangement was to allow the smoke and steam to escape up through the roof. With the withdrawal of steam locomotives and introduction of diesel locomotives in 1965, these vents were removed and replaced by simple electrically driven extraction fans, and the roof was altered to a gabled design. 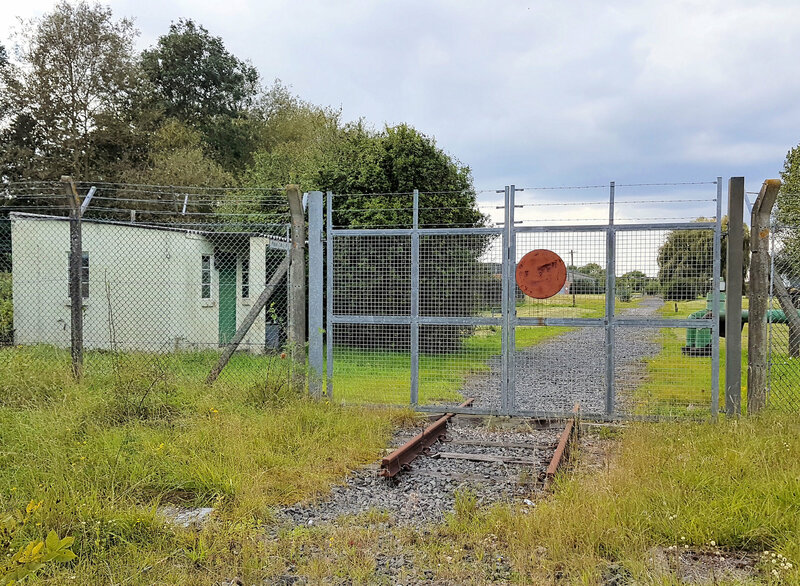 During the 1980s, the old Romney hut C1 (Carriage and Wagon Shop) at C Site, Arncott was closed and the work was transferred to a new purpose-built two-road Carriage and Wagon Department workshop at Graven Hill. The workshop was constructed against the north eastern corner of the Graven Hill locomotive shed. The shed is a simple rectangular-plan steel framed structure clad with corrugated steel sheeting. 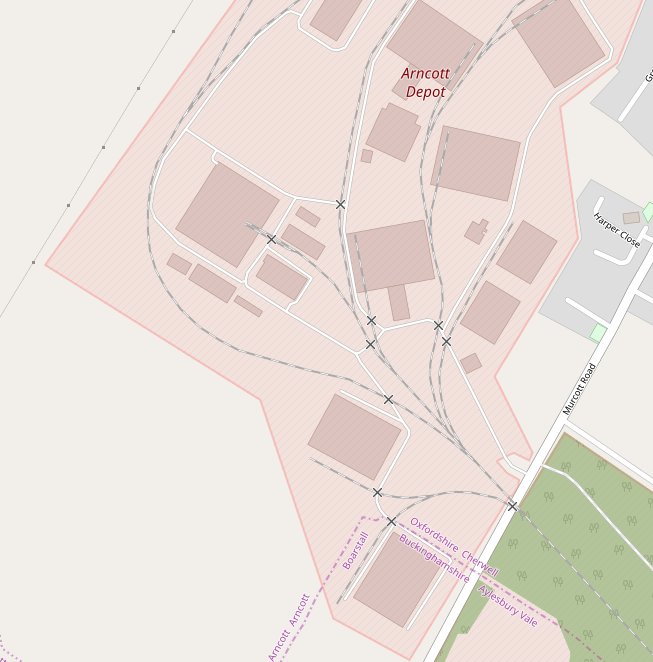 The original railway administrative centre was located at Arncott depot, but it was moved in 1978 to a new two-storey Railway Headquarters (Building D99) over-looking the southern end of the Sorting Sidings (SP 58361 19972). 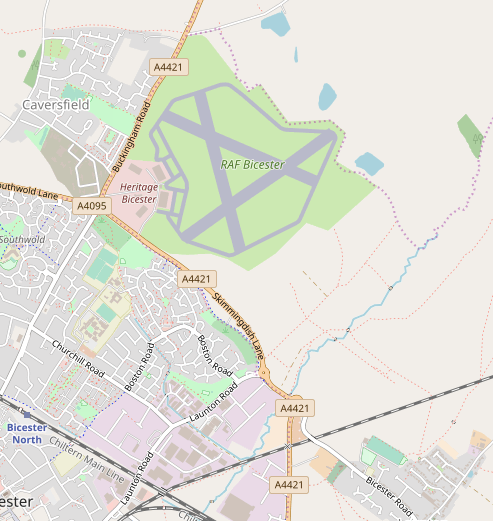 As an aside, RAF Bicester was also rail served and connected to the Oxford to Cambridge line as well. 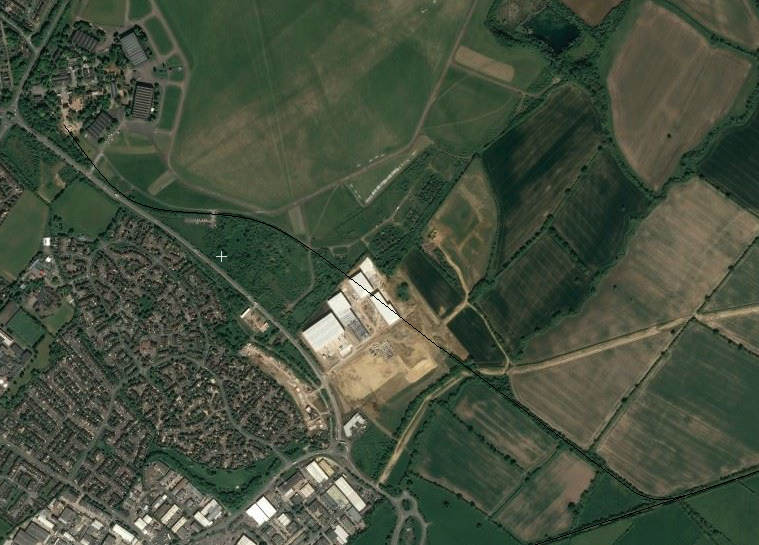 The old line cannot be seen on the adjacent map, but it is clearly visible on the satellite image below. The thin black line shows the route of the branch/siding. For much of its length the line of trees betrays its path. In 2008 the route was walked and pictures were taken for the website ‘Dereliction in the Shires’. At the time, there was little hope for the rejuvenation of the Oxford to Cambridge line. 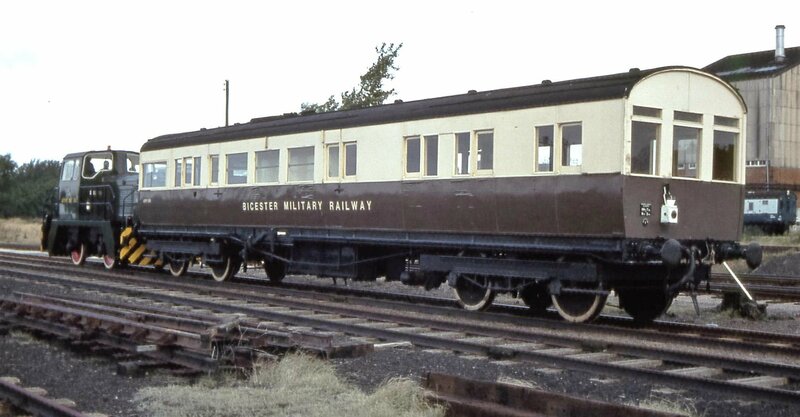 The Bicester Military Railway (BMR) had no connection to the RAF branch/siding and was a much more significant endeavour. 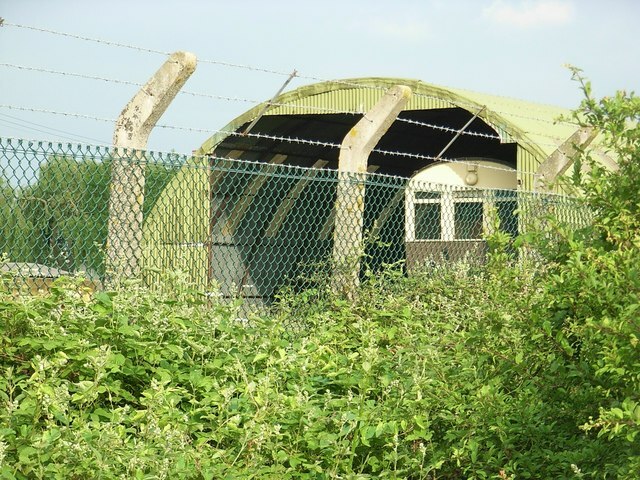 It served what is now the Defence, Storage and Distribution Centre (DSDC), the construction of which began in 1941. 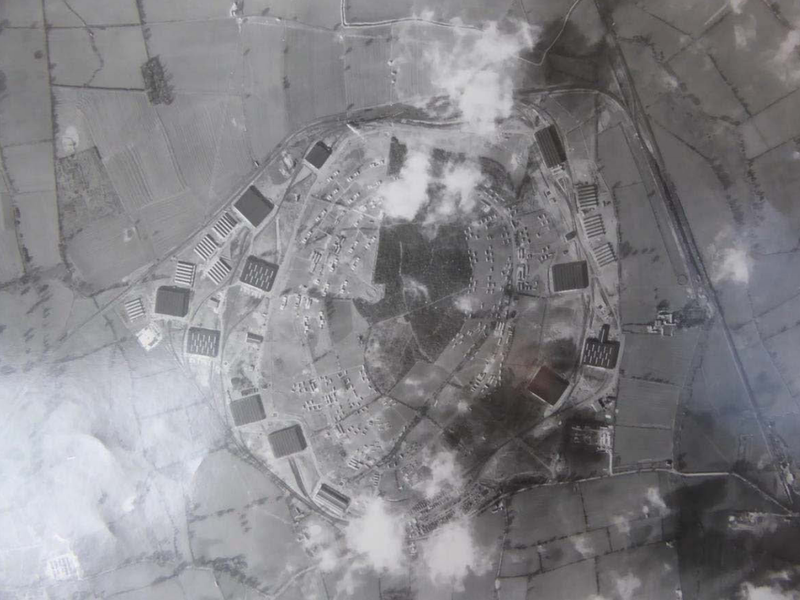 By September 1942 the Headquarters and first storehouse had opened and in 1943 the Depot assumed its first role as a main Support Base for future operations in Europe, and an Army Mobilisation Centre. The depot achieved its peak activity in the latter part of the war when some 20,000 troops and members of the ATS were employed there. 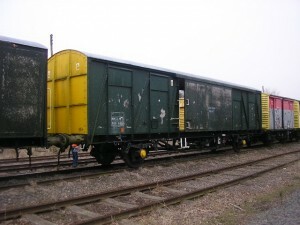 Since then the depot has had a number of roles. 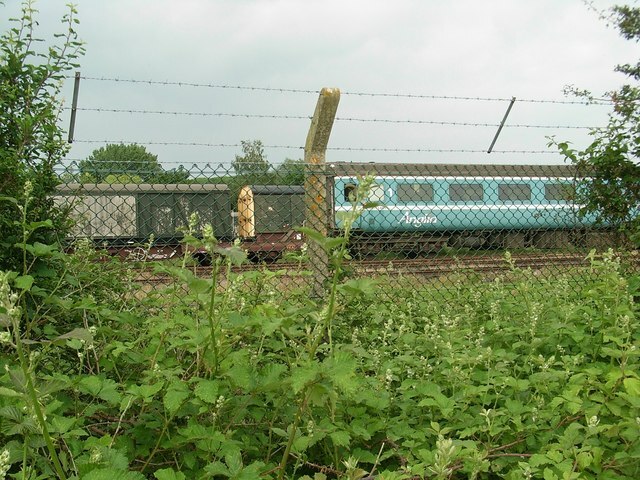 Further reorganisation in 1980-82 led to the closure of other Depots – Chilwell and Ruddington (near Nottingham) – and the transfer of its stock holdings to Bicester and even more responsibilities. 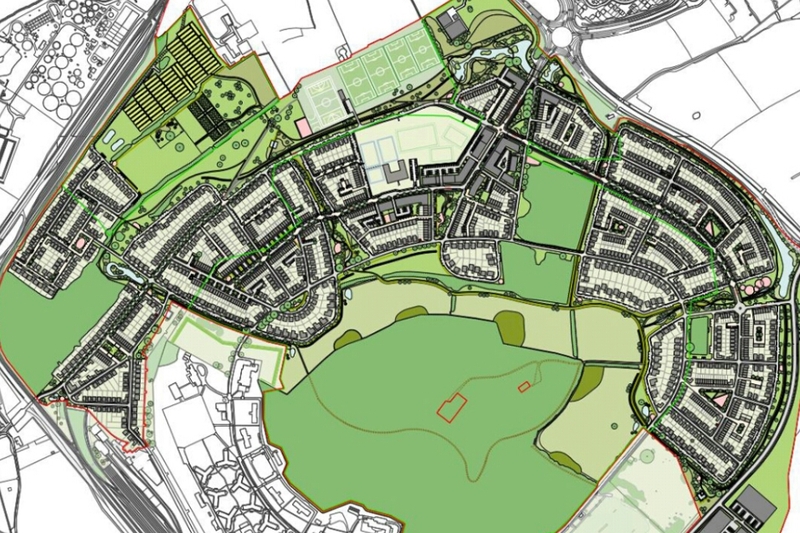 The Bicester site was divided into two main areas. 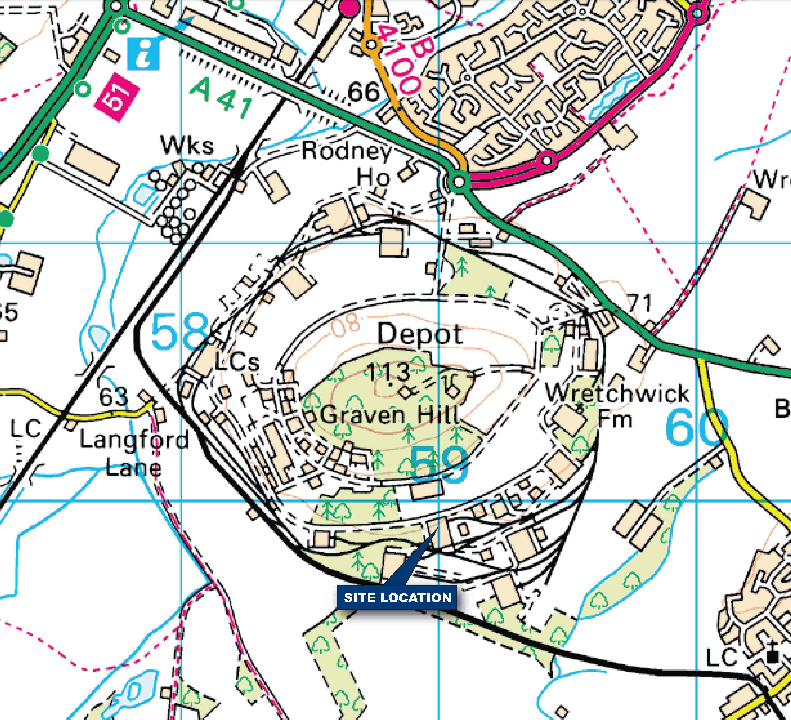 The depots were named for the hills that they surround – Graven Hill Depot and Arncott Depot. 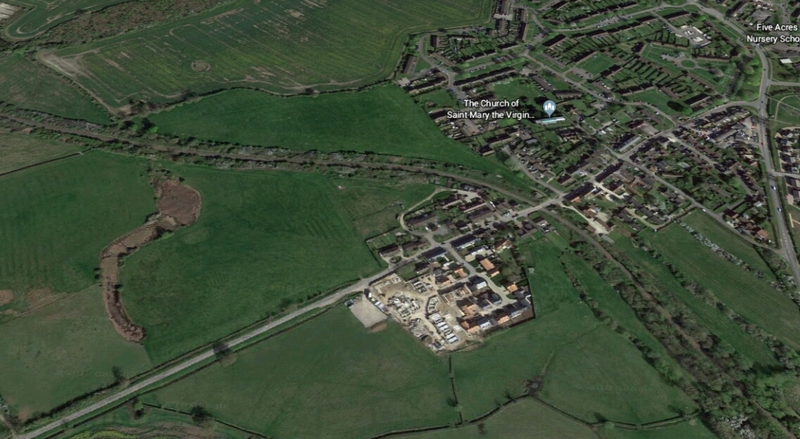 The two depots were further sub-divided into six distinct functional sites, A, B, C, and F at Arncott, and D and E at Graven Hill. 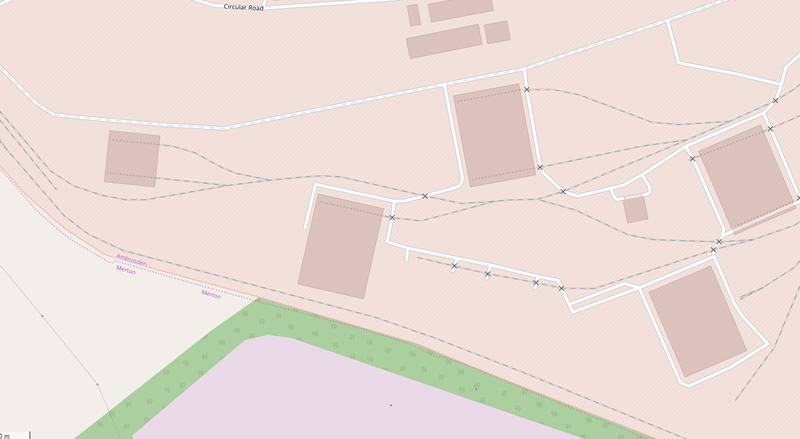 Access to the Military Base was from the south end of the exchange sidings above and is shown on the map below. 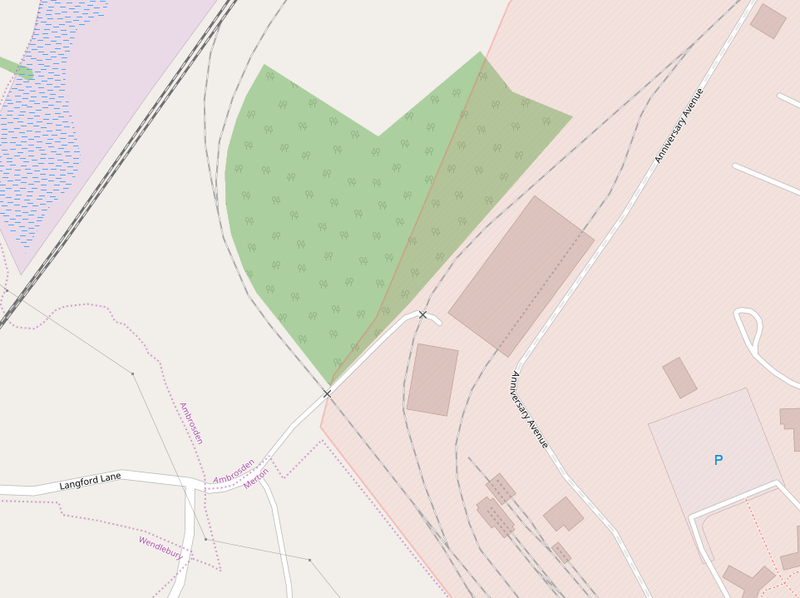 The military base is shown as a light pink tinged area, surrounded by a red line. 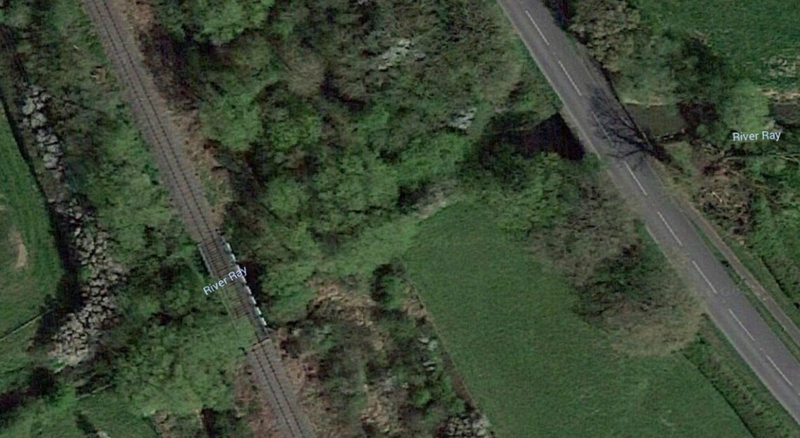 The railway entered it as it crossed Langford Lane, marked with a ‘x’ above and shown at the north-west corner of the satellite image below. 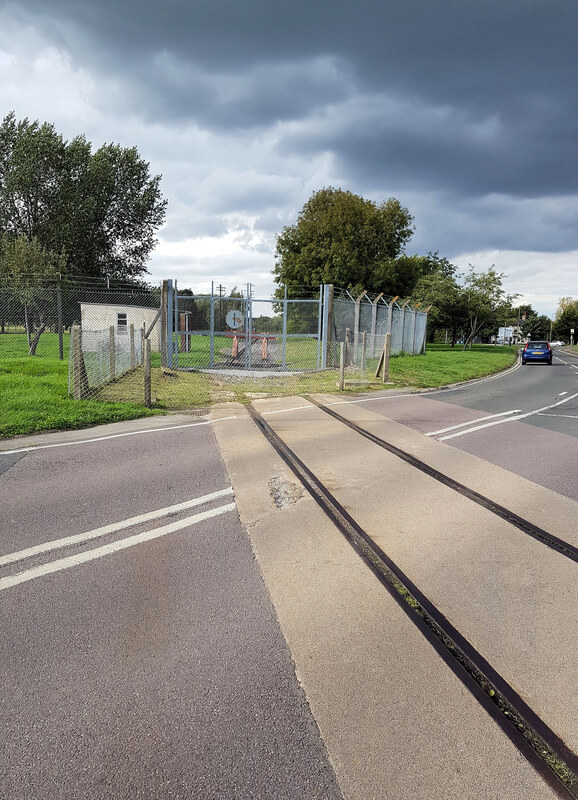 A train enters the Bicester Miltary Railway site, (c) Steve Daniels. 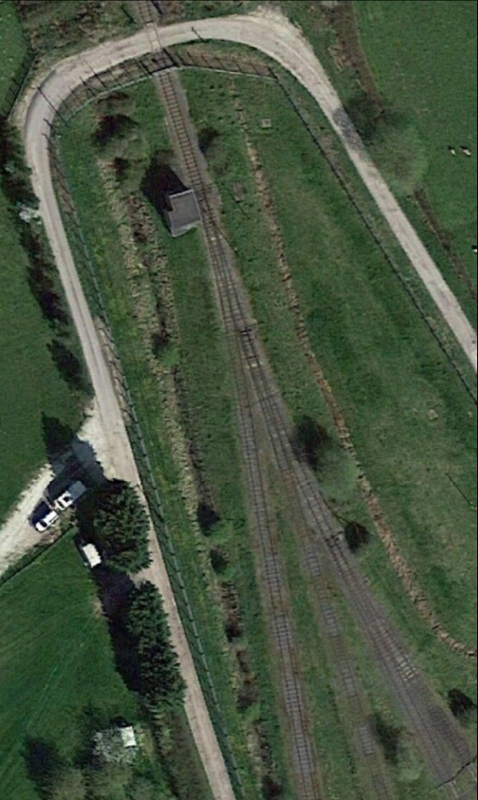 There was a complex network of sidings at the entry point to the Military railway. Graven Hill Signal Box viewed from the East was south east of the sidings shown on the map above. It can be seen casting a long shadow in the bottom right-hand corner of the satellite image below. The main line linking Graven Hill to Arncott continues along the south boundary of the military site (below). 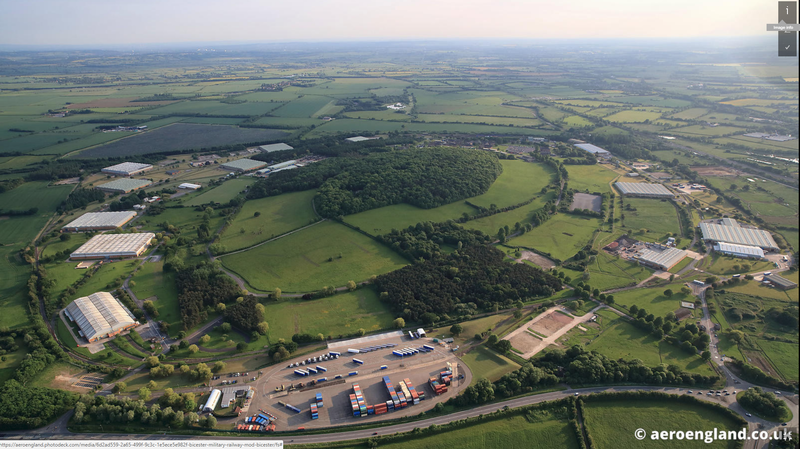 A network of rails surround Graven Hill providing access to a whole series of warehouses. Leaving Graven Hill Depot, the railway line approaches Ambrosden on the way to Arncott Depot. 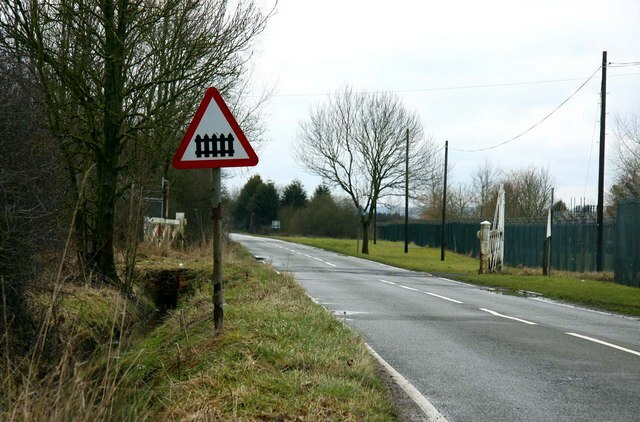 The first road encountered on the journey was crossed by a level crossing – Merton Road was crossed just to the West of Ambrosden. Looking north-west towards Graven Hill from Merton Road Level Crossing, Bicester Military Railway. Ambrosden platform was situated on the right hand side of the track. 28th March 2017, (c) Roger Marks. Merton Road west side gate, (c) John Grey Turner. Looking south-east towards Arncott from Merton Road Level Crossing, Bicester Military Railway. The building on the left once housed the crossing keeper. 28th March 2017, (c) Roger Marks. 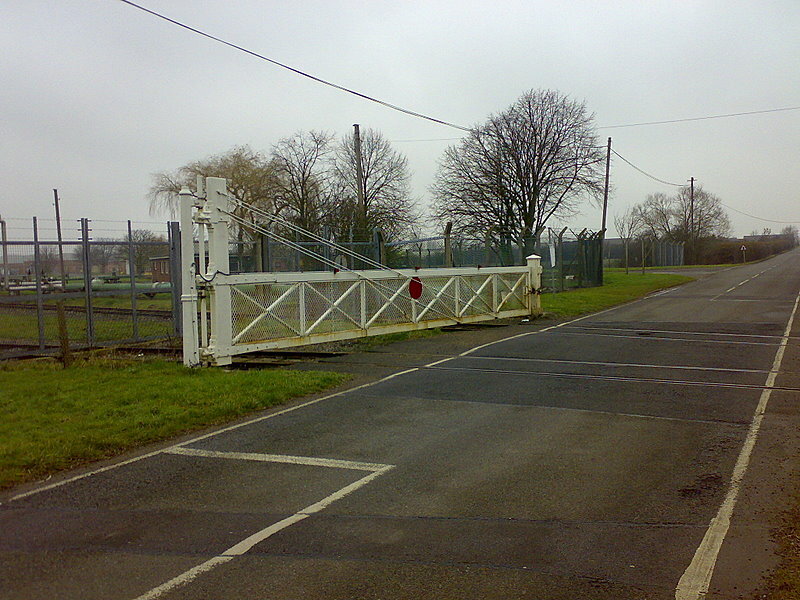 Merton Road Level Crossing at Ambrosden on the Bicester Military Railway. 28th March 2017, (c) Roger Marks. Merton Road ground frame, (c) John Grey Turner. The line continues on beyond Merton Road with the village of Ambrosden on its left and then runs parallel to the road between Ambrosden and Lower Arncott, and crosses the River Ray. Just to the south of the River Ray the line enters the Arncott Depot. 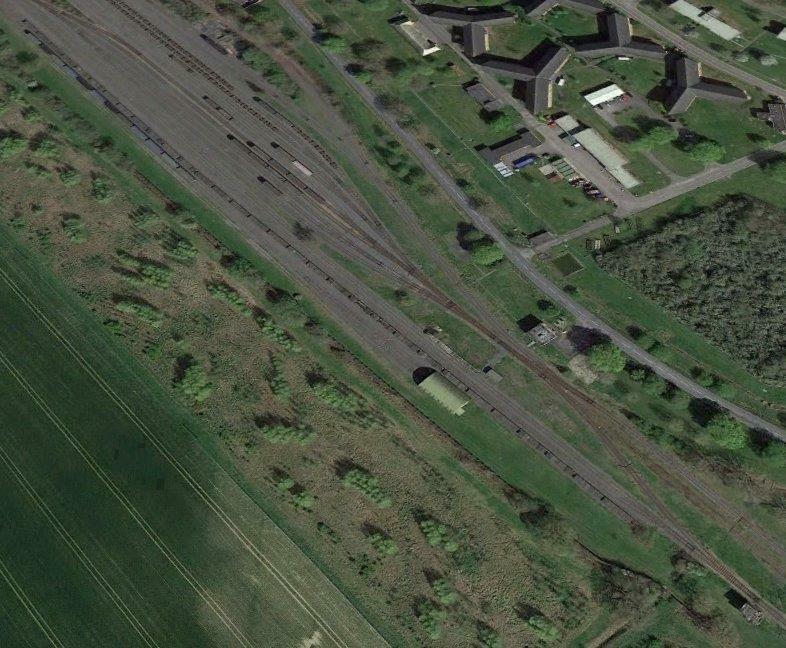 The depot boundary extends out towards the River Ray so as to encompass the multi-way points which opened out into the depot sidings and the signal box which can be seen towards the top of the satellite image below. 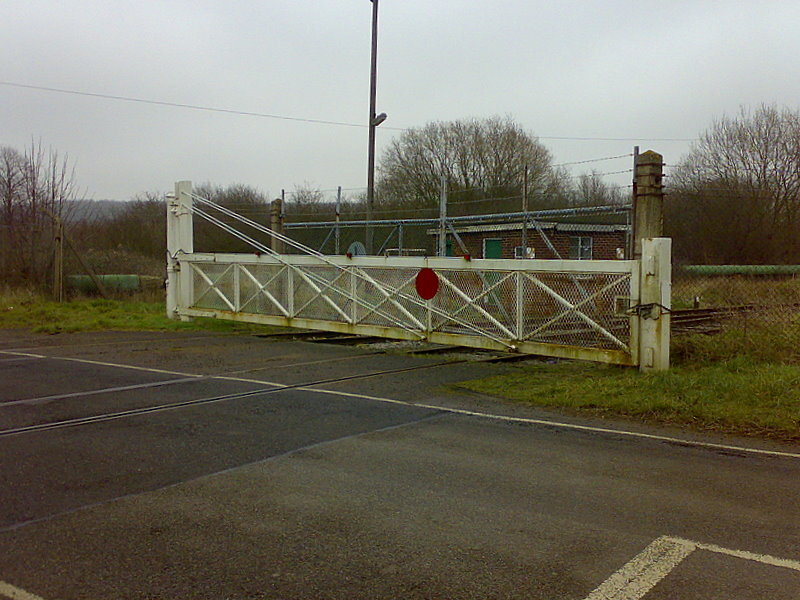 Arncott Depot entrance gates and signal box, (c) Mark Edwards. 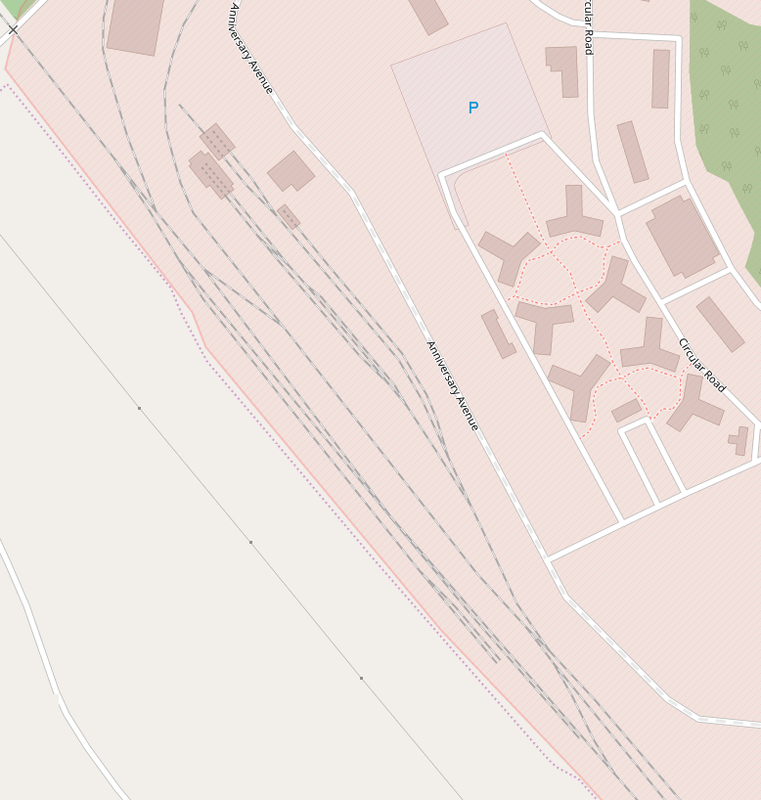 The railway spreads out to serve a series of warehouses and operational buildings. 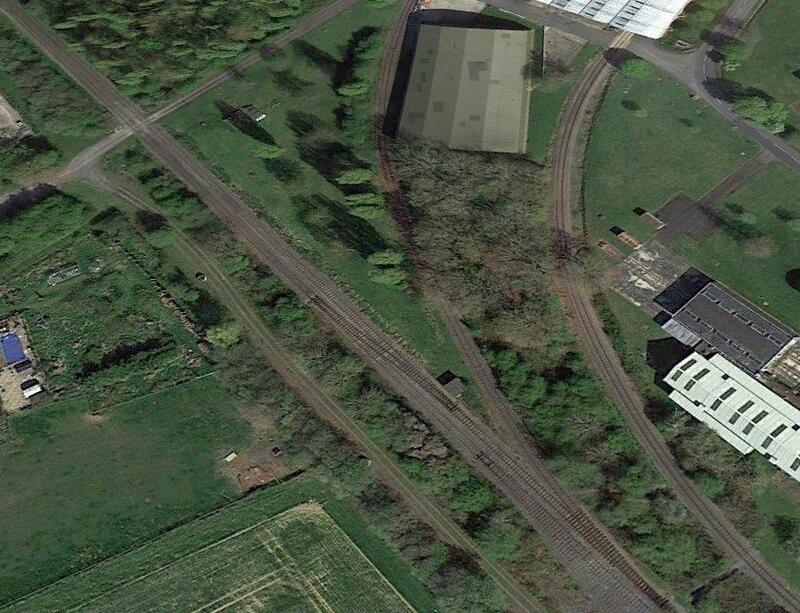 Top centre to bottom right is the line which runs toward the now disused Piddington Depot which crossed Norris Road close to the also doused Arncott halt. The next three pictures show the area immediately around the blue flag on the satellite image above, the road crossing and halt. 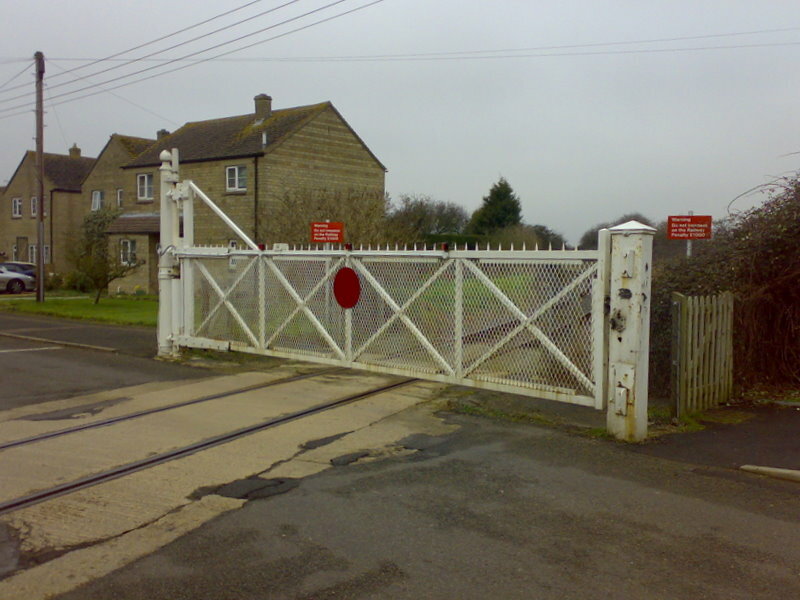 The disused Arncott Main level crossing on the Bicester Military Railway, looking towards Arncott yard and Bicester. 12th September 2017, (c) Roger Marks. Arncott Halt before the track was lifted, this view looks towards the level crossing above, (c) 70023venus2009. 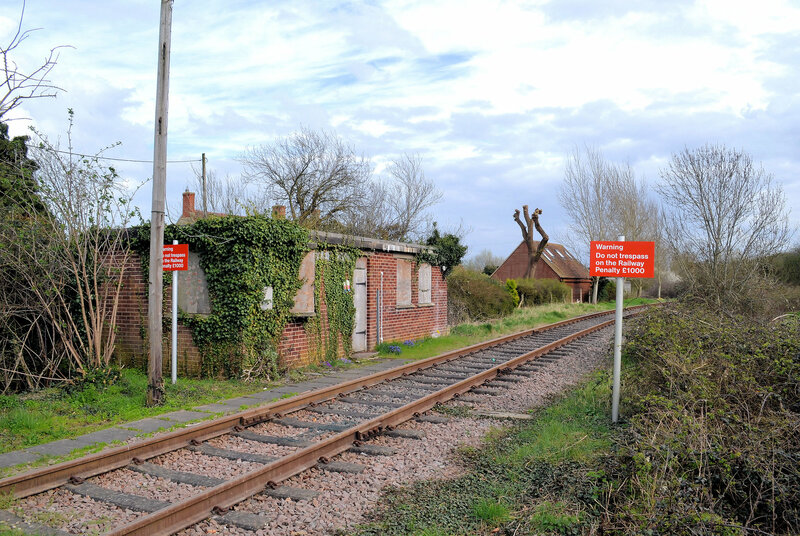 The remains of Arncott station on a disused section of the Bicester Military Railway. 12th September 2017, this view is taken from the level crossing above, (c) Roger Marks. The line to the Paddington Depot travelled to the south of Palmer Avenue to meet the B4011. The level-crossing on the B4011 is shown after removal of some of the line. Looking West towards Arncott with tracks in place. 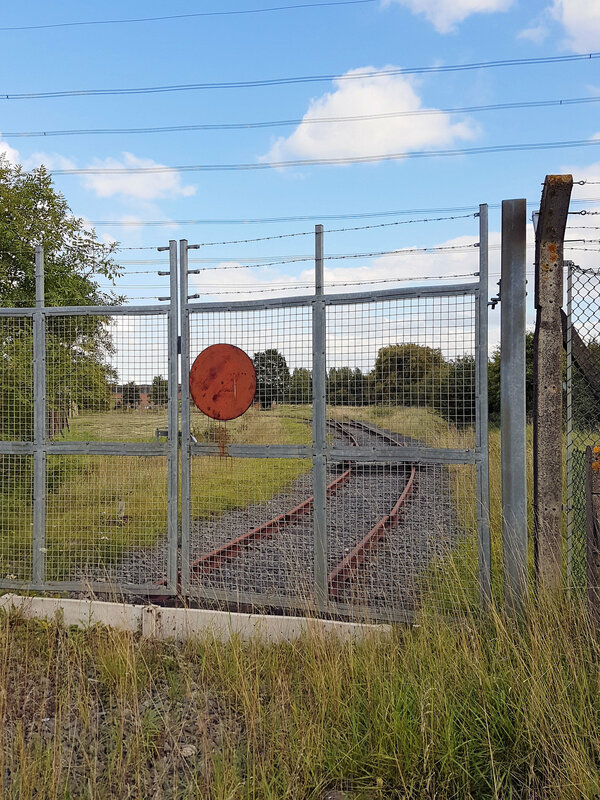 The view looking towards Arncott and the working part of the Bicester Military Railway, from the disused Piddington branch at Piddington crossing. The former crossing keeper’s hut is on the left. 12th September 2017, (c) Roger Marks. The view from the level crossing looking east towards Piddington Depot before the removal of the line. 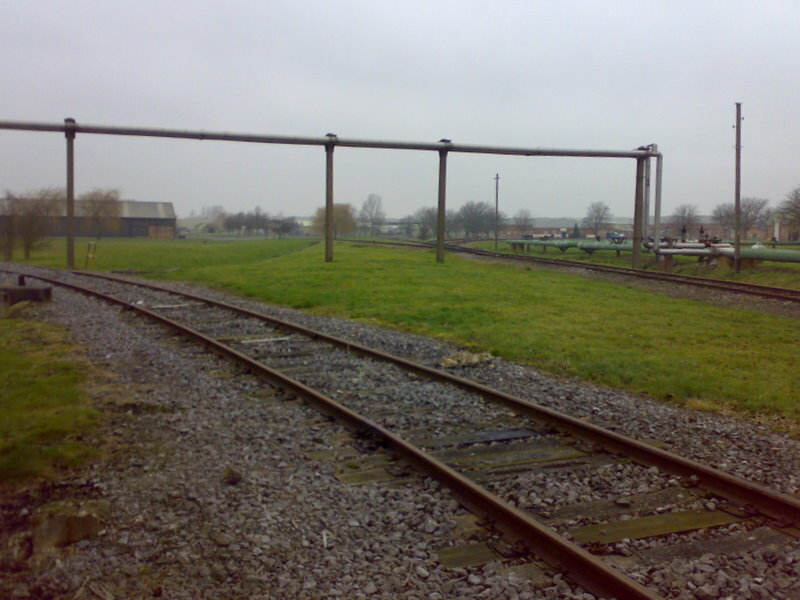 The disused Piddington branch of the Bicester Military Railway, looking towards the terminus from Piddington Crossing. 12th September 2017, (c) Roger Marks. 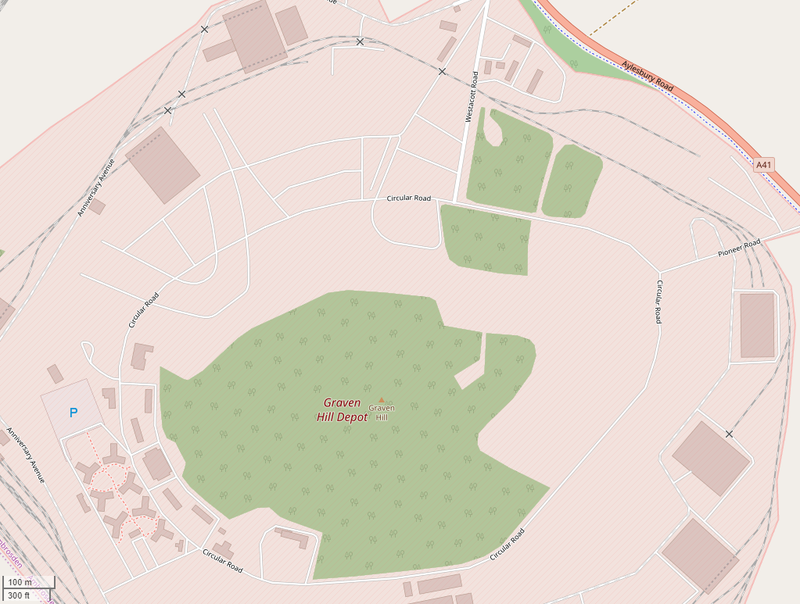 The site beyond the gates (above) is shown on the extract from ‘OpenStreetMap’ below. The depot is now disused. Returning to Arncott Depot. 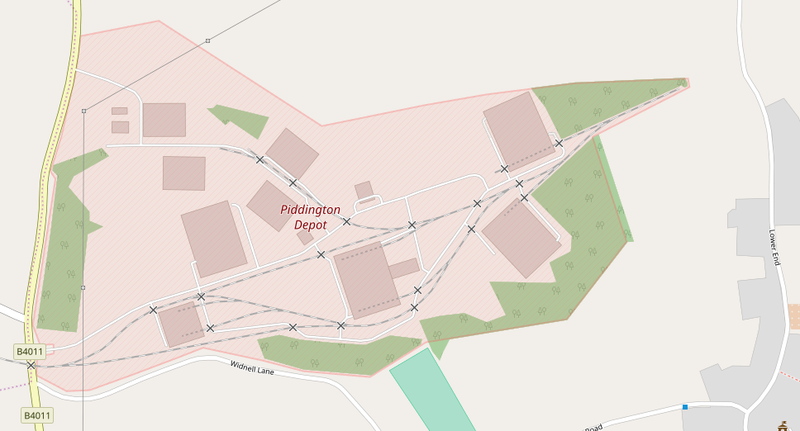 The map below shows the northern part of the Depot with the gate/signalbox at the top and the line to Piddington leaving the image on the right. 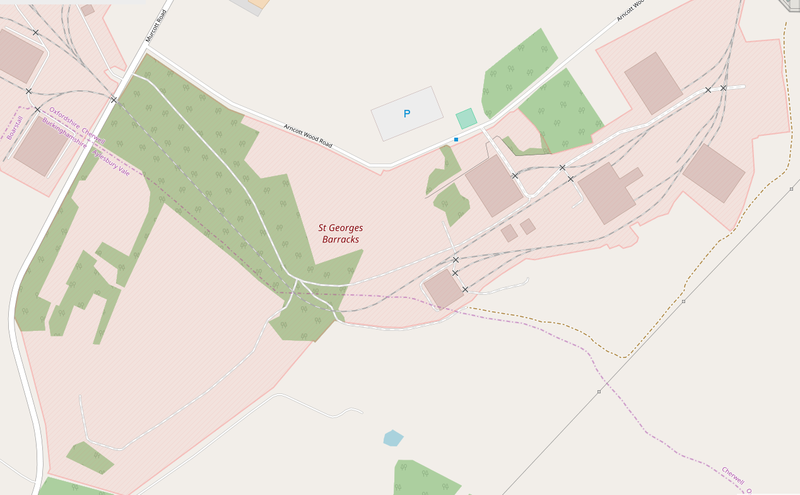 The second map below shows the southern half of the depot and its connection across Murcott Road to St. George’s Barracks. 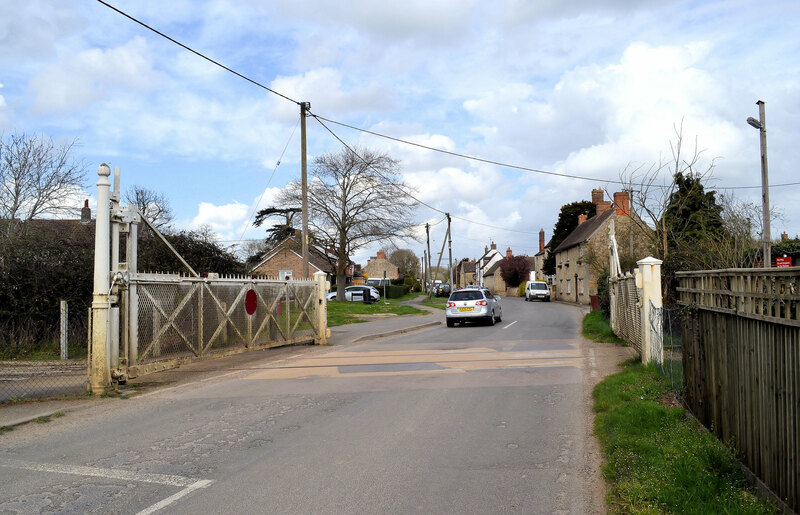 The crossing at Murcott Raod is shown in the next few images. Murcott Road Crossing west side, (c) John Grey Turner. Murcott Road Crossing west side, (c) John Grey Turner. Murcott Road Crossing, (c) Steve Daniels. Murcott Road West, (c) John Grey Turner. This plan shows St. George’s Barracks and the link at the top right back up to the line to the Piddington Depot. 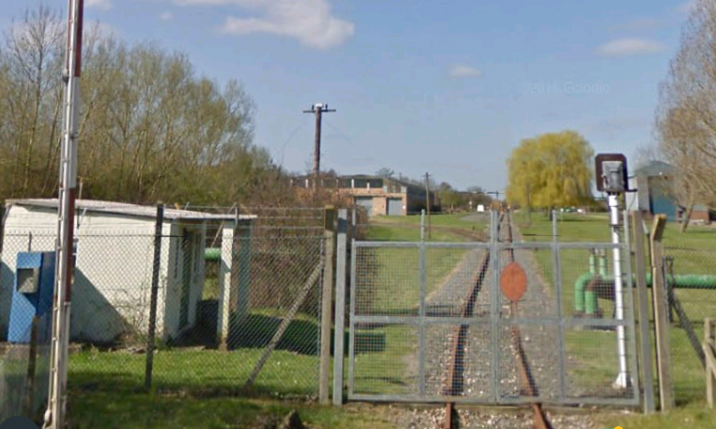 http://www.pastscape.org.uk/hob.aspx?hob_id=1363495, accessed on 30th July 2018.
https://en.m.wikipedia.org/wiki/Bicester_Military_Railway, accessed on 30th July 2018.
https://sites.google.com/site/derelictionintheshires/military-sites/raf-bicester-rail-siding, accessed on 30th July 2018.
https://www.blhs.org.uk/index.php?page=bicester-cod, accessed on 30th July 2018.
http://www.bicester-garrison.co.uk/Bicester-Garrison/Bicester-Garrison-Past-and-Present-26062015.htm, accessed on 31st July 2018.
http://www.pastscape.org.uk/hob.aspx?hob_id=1411454&sort=2&type=&rational=a&class1=None&period=43%7C410%7CROMAN%7C38%7C0&county=None&district=None&parish=None&place=Bicester&yearfrom=43&yearto=410&recordsperpage=10&source=text&rtype=&rnumber=, accessed on 31st July 2018.
https://aeroengland.photodeck.com/media/6d2ad559-2a65-499f-9c3c-1e5ece5e982f-bicester-military-railway-mod-bicester/fs, accessed on 31st July 2018. 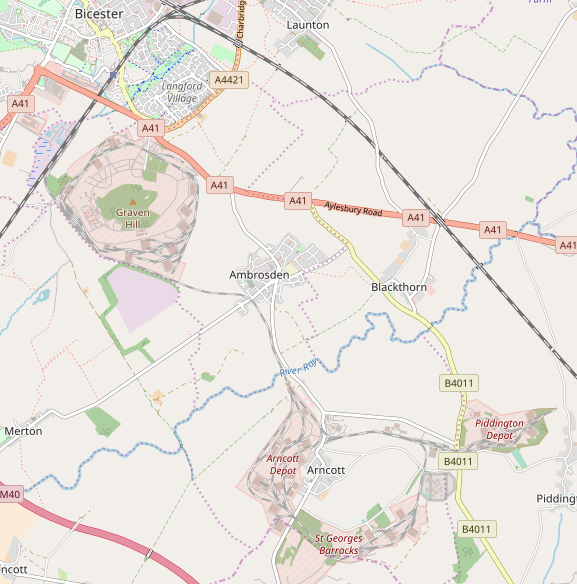 By Steve Daniels, CC BY-SA 2.0, https://commons.wikimedia.org/w/index.php?curid=13983840, accessed on 31st July 2018.
https://www.openstreetmap.org/#map=17/51.87673/-1.15561, accessed on 31st July 2018. NMR Aerial photograph Library No: 6914 Frame No: 5033/5034, in http://archaeologydataservice.ac.uk/archiveDS/archiveDownload?t=arch-2170-1/dissemination/pdf/EED13983-106-R-1-1-3-TM_.pdf, accessed on 31st July 2018. Workshops; Oxford Publishing Co. Ltd, 1992.
http://archaeologydataservice.ac.uk/archiveDS/archiveDownload?t=arch-2170-1/dissemination/pdf/EED13983_WSI/EED13983-106_S_1_1_3_TM.pdf, accessed on 31st July 2018.
http://righttobuildtoolkit.org.uk/case-studies/graven-hill-bicester, accessed on 31st July 2018.
https://www.geograph.org.uk/photo/256274, accessed on 31st July 2018.
https://en.wikipedia.org/wiki/Bicester_Military_Railway#/media/File:Thomas_Hill_(Vanguard)_319V_(5676879108).jpg, accessed on 1st August 2018.
http://www.rmweb.co.uk/community/index.php?/topic/91758-chris-ts-photo-archives-updated-6th-march/page-13. 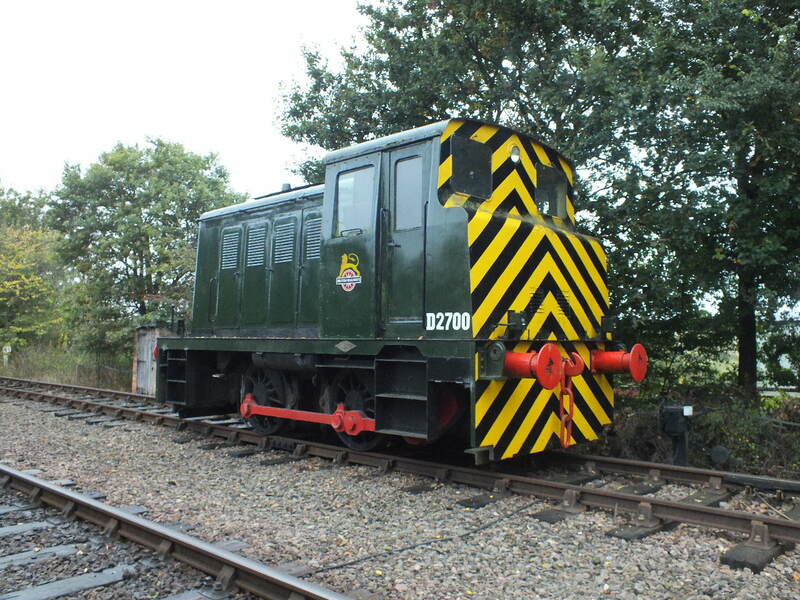 Pictures were posted on 10th December 2014 at 20:41, and were accessed on 30th July 2018.
http://colnevalleyrailway.blogspot.com/2012/10, acessed on 1st August 2018.
https://www.pinterest.co.uk/pin/56435801566058783, accessed on 1st August 2018.
http://www.geograph.org.uk/photo/3647138, accessed on 1st August 2018.
http://www.geograph.org.uk/photo/464267, accessed on 1st August 2018.
http://www.geograph.org.uk/photo/464271, accessed on 1st August 2018.
http://www.geograph.org.uk/photo/4120799, accessed on 1st August 2018.
https://www.pinterest.pt/cannyuk/locomotion, accessed on 1st August 2018.
https://www.pinterest.co.uk/pin/56435801566058820, accessed on 1st August 2018.
https://wikivividly.com/wiki/Bicester_Military_Railway, accessed on 30th July 2018. 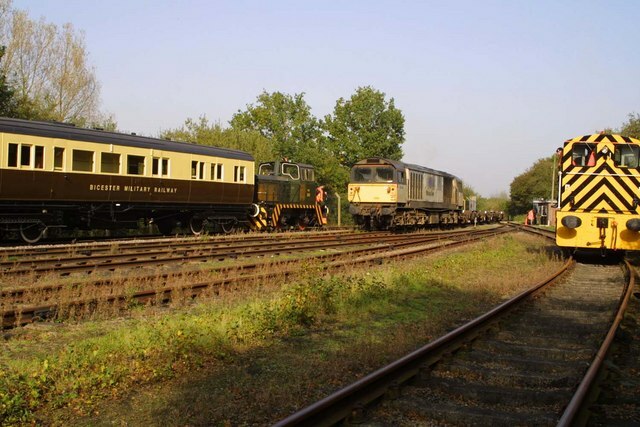 This entry was posted in Railways Blog on August 1, 2018 by rogerfarnworth. 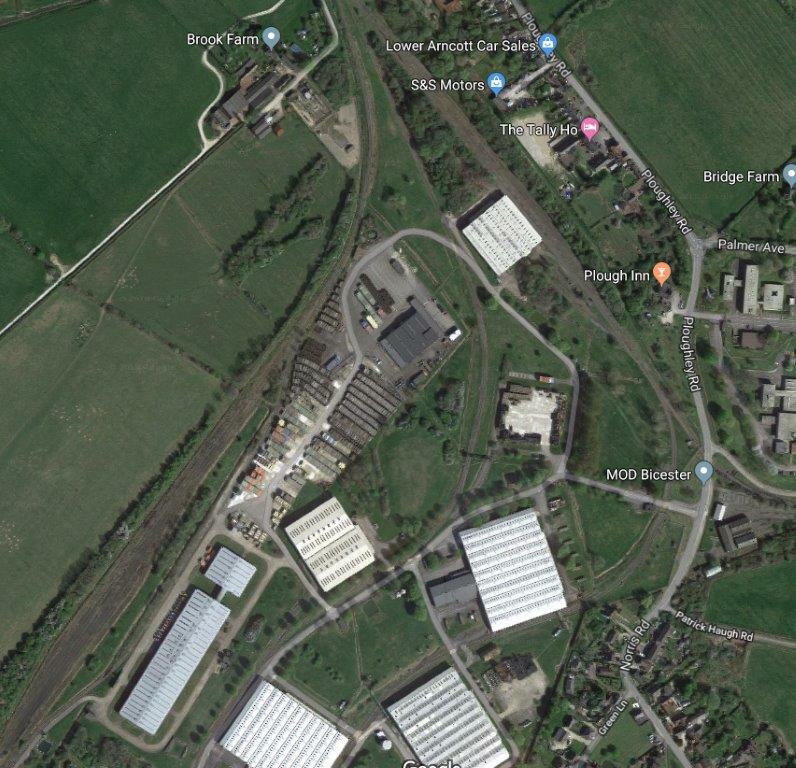 I live near Bicester and have been around the Bicester Army depots but never realised there was such an interesting little railway on our doorstep. The article is really interesting and I’m glad its got a preservation order on it, we need to keep this type of heritage for the future. 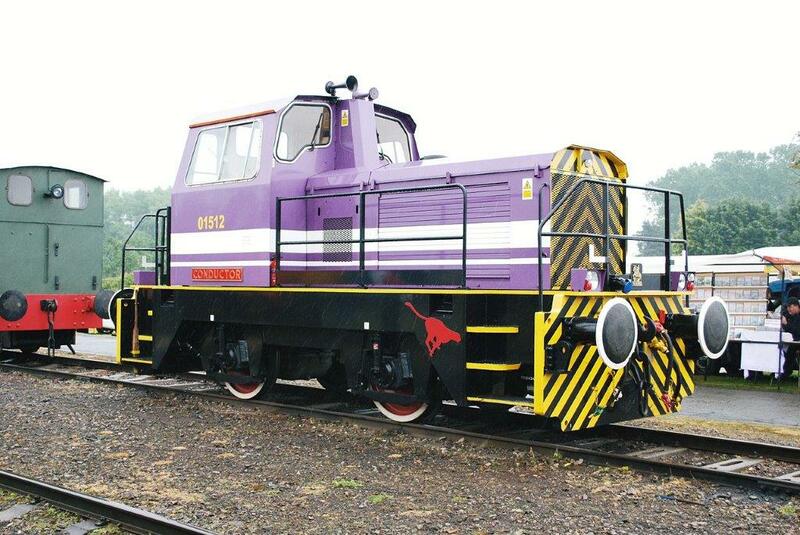 Well done Roger, as a relative local with an interest in all things railway, I sometimes pass along the B4011. 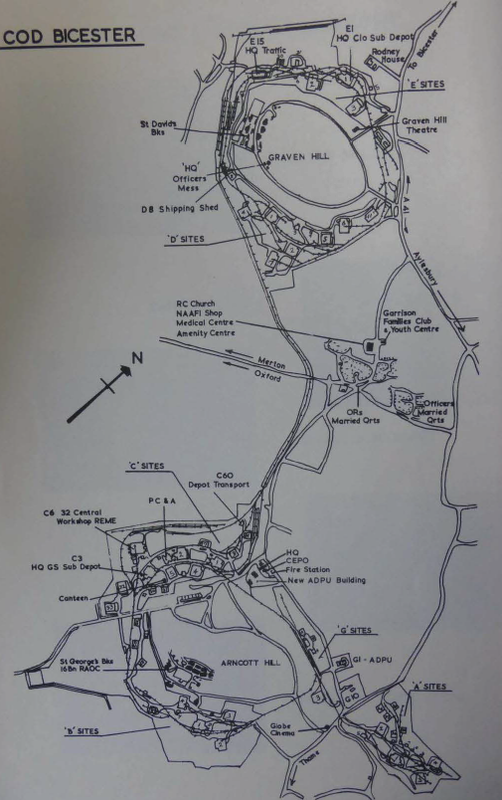 I recently purchased a copy of The Bicester Military Railway by Messrs Lawton and Sackett and am about halfway through it and wondered where things stand today with the BMR noting the expansion of Bicester. Your article and research I think answers that question very well. 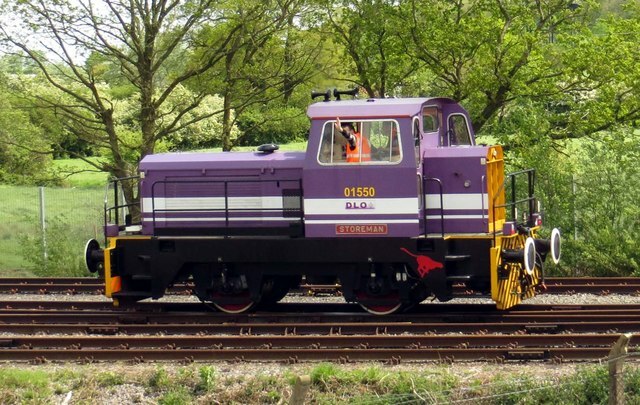 I note your interest in N Gauge modelling as well – it looks like you have a massive project to complete! Yes, the N Gauge Project is staggering on. I have been in post here for nearly 16 years and may have to move in the next couple of years . It will all need dismantling at that point to move on elsewhere. Are you a member of the N Gauge Society, I am sure the building of Hereford would make great reading. I only model dioramas and generally in N gauge as the thought of a fully working DCC layout is too much to bear!